- The Character sees something he is not supposed to get. - When he finaly gets it , he shows glee. - But then he is seen by someone. - The character looks guilty. The first three drawings focus on portraying the first point of the story and the others correspond to the each following three points. 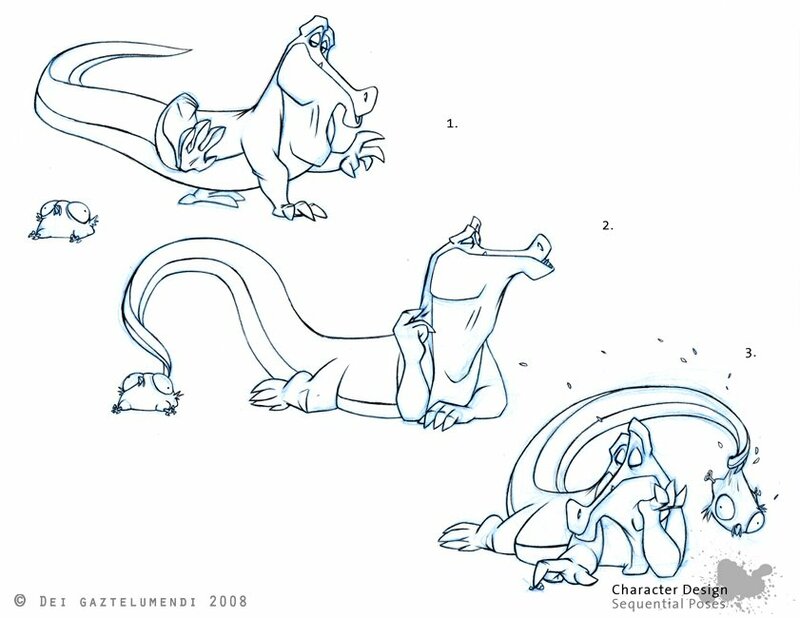 I had created the crocodile character in a previous Character Design exercise and used it in an Animation. His name is Edgar. 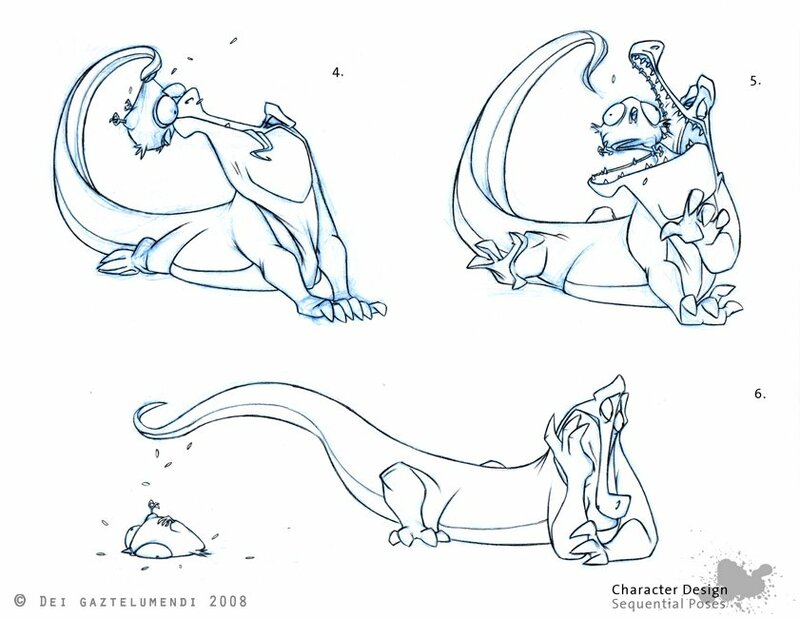 great character,like the expressions, think of the silhouetting, in pose 3 i would lift the tail just a bit in order to make the silhouette stronger, over all great expressions and character!!! looking forward to ur 3rd year film, c u around school! Now that I can look at it I totaly see what you meant. However, I feel it would also make it a bit flatter... am I right? This brings up a question to me: If overlaping shapes helps depth but clearifying the silhouette makes the pose stronger... How do you convine them properly or, which one do you put first?